“In the wake of Starfield’s devastating report, other facts came to light: 2.1 million people in America, every year, are hospitalized as a result of reactions to FDA-approved medicines. Annually, 36 million serious adverse reactions to those drugs occur. Yet, the science is completely fraudulent. For evidence, consult the many works of psychiatrist Peter Breggin, who has done more than any other person to expose the guts of his own profession. (breggin.com) Breggin establishes that mental disorders are not authoritatively diagnosed by a chemical or biological test. Conclusive tests do not exist. And worse, in this undefined and arbitrary territory, the drugs that follow diagnoses are killers: for example, 300,000 cases of motor brain damage, as a result of the administration of major tranquilizers. * WEST NILE: 1159 deaths. * BIRD FLU: 262 deaths. * SMALLPOX: (terrorist threat): 0 deaths. To give perspective, globally, the World health Organization claims 250 thousand to 500 thousand people die of ordinary flu-like illness every year. Yet this higher death rate accrues no interest as an epidemic. It is only the “teaching (brainwashing) moments” of the phony epidemics that are promoted by health agencies (e.g., CDC and WHO) and their pharmaceutical allies, who rake in billions by manufacturing new vaccines. It’s a bald-faced lie. It’s a death-dealing lie. As I predicted, the march toward mandatory vaccination is escalating. Younger and younger children (even babies) are being screened for psychiatric disorders, diagnosed, and prescribed highly toxic drugs. Various bureaucracies are devising new ways to share medical records of patients. We have had more “epidemic” scares with dire predictions that didn’t pan out. Ebola was the most notable. 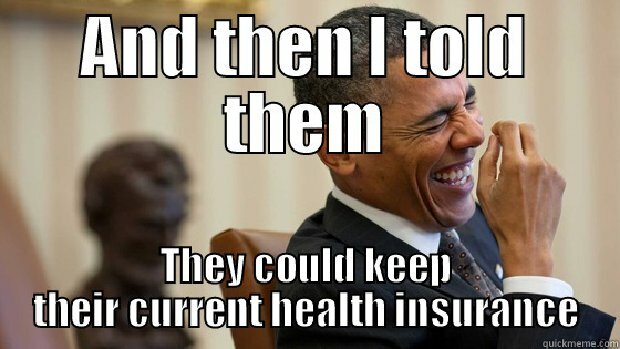 Obamacare is a RICO operation. It’s a continuing criminal enterprise at its core, and it produces widespread debilitation and death. Why not tell the truth about it?